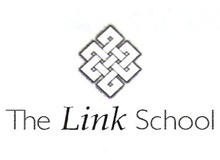 The Link School is a private, experiential learning high school. The Link School is a democratic community because we feel that it is imperative that students learn to choose to engage in their academics and activities – to “do school” rather than feel (as most students do) that school is “done to them.” As a democratic community students have a genuine voice in all aspects of the operation and are able to shape their own life preparation. As a democratic community students learn that school is more than just preparing oneself to make a living in the future, but rather school ideally is combination of preparing oneself and giving of oneself. They also learn that it takes work, it’s messy, and can be remarkably rewarding. One of the things missing in the educational landscape right now is students really feeling needed. Democratic practice shows students that they are needed every day.